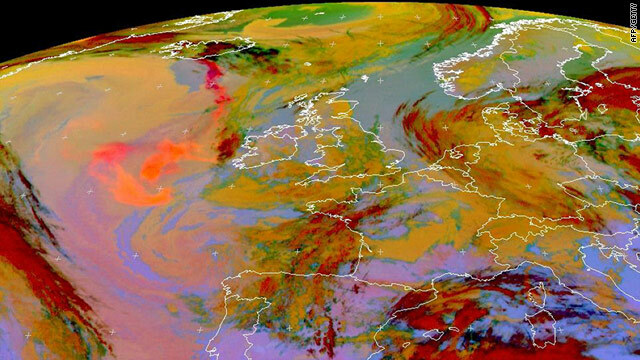 A computer-enhanced satellite image Friday shows the ash cloud as an orange-red plume drifting from southern Iceland. (CNN) -- Irish authorities reopened all airports Friday after shutting them for several hours because of ash from an Icelandic volcano. The airports in Dublin, Shannon, Cork and six other cities were open with no further plans to close them, the Irish Aviation Authority (IAA) said. It was the third time in four days that the airports had to be closed because of the volcanic ash, which is being carried in the atmosphere southeast toward Ireland. "While the northerly winds are keeping the bulk of the cloud out in the Atlantic, the increased size of the cloud continues to pose a risk especially if the winds change," the IAA said. The Eyjafjallajokull volcano in southern Iceland, which erupted last month, has been expelling denser and coarser ash higher into the atmosphere since Tuesday afternoon, the IAA said. 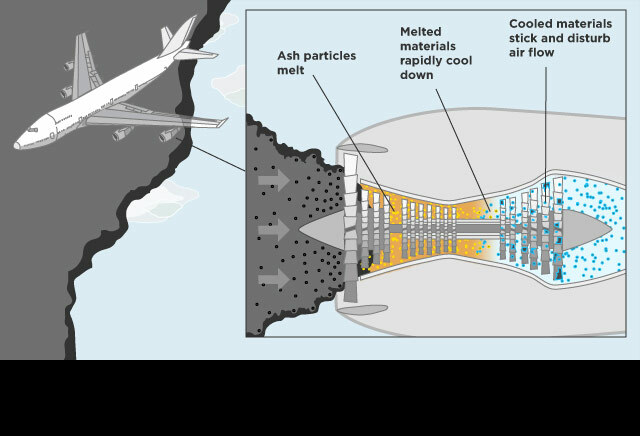 That ash is being carried down from Iceland toward Ireland and the United Kingdom, causing the flight problems, it said. Airports in Ireland, Northern Ireland and western Scotland were shut earlier this week because of the ash.